CBM Calculator user can suggest a feature. 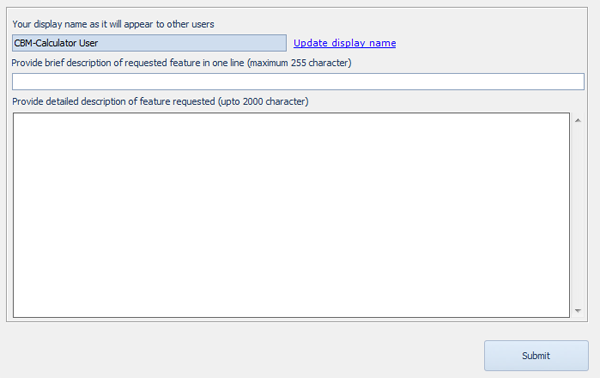 CBM Calculator team will review the suggested feature and implement the most liked featue by all CBM Calculator Users. User can update his/her display name. It is shown to the other users in suggested feature list. Suggested feature heading in one line and maximum 255 characters.